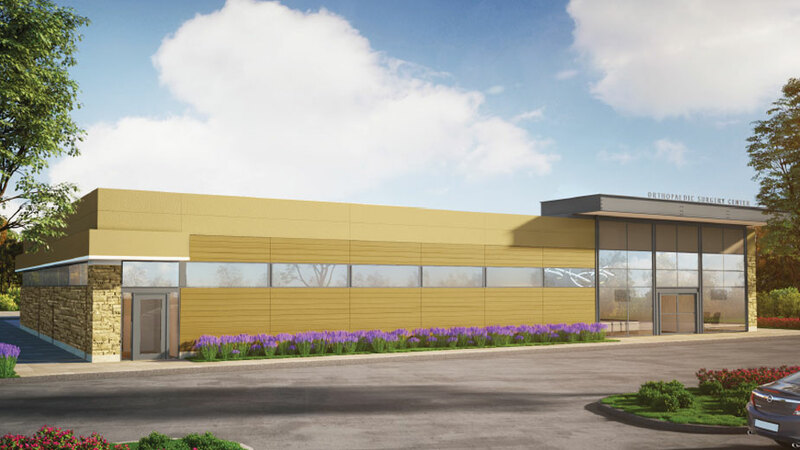 YOUNGSTOWN, Ohio – As the leaders of Orthopaedic Surgery Center considered the design for construction of a new ambulatory center in Boardman, they took a trip to Columbus to look at a similar site that recently was built. 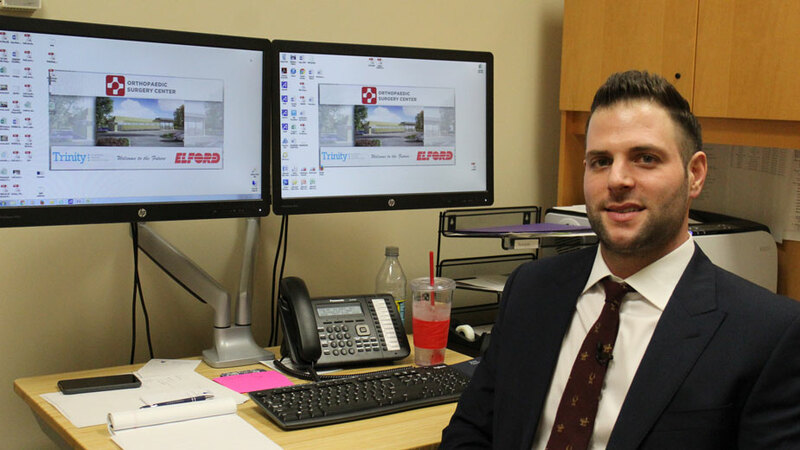 But even though the Columbus site is just a few years old and covers many of the same areas of medicine as the practice in Boardman, the changes in the health-care field have been enough to impart crucial lessons on the Mahoning Valley doctors. “They told us that if they had to do this again today, they’d build fewer overnight rooms,” says Taylor Cera, administrator of the Orthopaedic Surgery Center. Already, just a few years into operation, doctors at the center in Columbus have seen the number of outpatient procedures climb and the number of overnight stays dwindle. As patients and insurance companies alike seek to lower costs, ambulatory-outpatient surgical centers such as the Orthopaedic Surgery Center are proving to be successful alternatives to inpatient procedures in hospitals. He points to a common ailment as an example: carpal tunnel syndrome. A corrective procedure in a hospital is roughly two to three times the cost of having it done in an ambulatory setting, he says. The biggest factors in the reduced cost are less time spent in the medical center and fewer people involved in patient care. Reducing costs, he continues, has been a guiding principle of Orthopaedic Surgery Center since it was founded 15 years ago, but it’s one that has come to the fore in the past few years. Pictured: Orthopaedic Surgery Center’s new site just off Western Reserve Road in Boardman is designed to contain four operation rooms and be fully integrated to handle electronic medical records. It is expected to open in December. For patients, adds medical director Dr. Les Schwendeman, outpatient procedures mean they’re back on their feet faster. “You have healthier patients who don’t need to stay in the hospital. They can be discharged with appropriate therapy and just as well, or even better, than folks who stay longer,” he says. And with that industrywide movement, Orthopaedic Surgery Center is at capacity in its office at the Beeghly Campus of Akron Children’s Hospital Mahoning Valley. “I think we did about 110 joints last year just across our small number of physicians and we’re not a metropolitan area like Cleveland or Columbus,” says Schwendeman, noting the practice began just two years ago. It’s that kind of growth that’s led the center to begin work on a new building in Boardman just off Western Reserve Road at 8551 Crossroads Drive. Scheduled to open in December, the $7 million, 13,000-square-foot surgery center will feature new infection-control technologies, electronic medical records and a design tailored to improve experiences for both doctors and patients. As they fill out paperwork before their surgery, patients can use a portion of the waiting room set aside for just that, providing a greater sense of privacy and security. Before and after procedures, they have access to private suites. Large windows will help keep patients oriented to the outdoors – which can help them be more relaxed instead of being sealed off through a maze of white hallways. Pictured: Taylor Cera, administrator of the Orthopaedic Surgery Center. The new center will also have four operating rooms, one more than the current office as well as overnight observation rooms. Throughout the new surgery center – from waiting room to operating room – new technologies will be featured. While there are no definitive plans for expansion after the new surgery center opens, the leadership of the practice has a few ideas circulating for the next phase of the business. With the construction site situated on several acres, there’s ample room to grow. Schwendeman points to room to expand the building itself or erect new ones, even one day maybe a full medical campus that would bring in doctors working across the health-care spectrum. Today, 29 doctors use the Orthopaedic Surgery Center as the site of their procedures. Having services in one location – especially in an outpatient setting – is key to keeping costs low. Pictured: Dr. Les Schwendeman of the Orthopaedic Surgery Center. Helping too are relationships with insurance companies that would prefer their policyholders to opt for lower-cost services, Cera adds. The leadership of the surgery center – all physicians – meet with insurance representatives to discuss both the business and medical sides of the center. Part of what’s offered to patients, Engle continues, is the perspective of doctors at every level of the business. With the Orthopaedic Surgery Center being physician-owned and independent of larger medical systems, the practice president says the Hippocratic oath plays a role in business decisions. 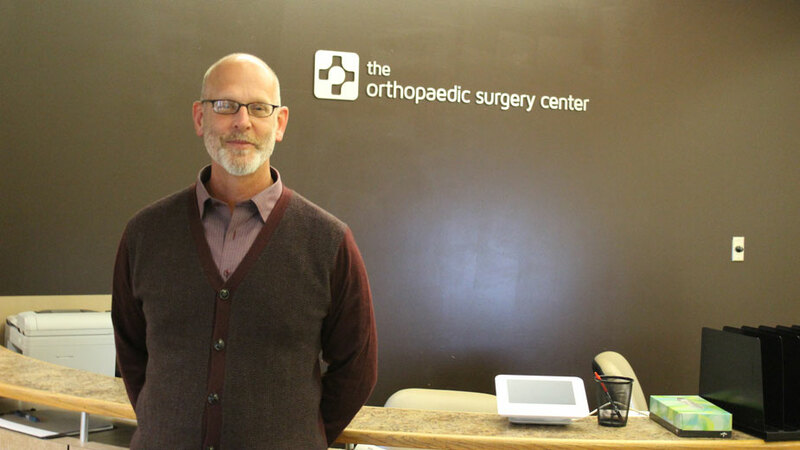 Pictured: Dr. Michael Engle, president of Orthopaedic Surgery Center.